Uranus in Aries is stationary so it will bring sudden and intense changes and the effects are really concrete. Uranus forms a good trine with Saturn in Sagittarius and a problematic opposition with Jupiter in Libra. Uranus and Saturn combination brings changes made after a long thinking and based on a strategy. Uranus and Jupiter combination brings urgent need for freedom, revolution, and big change, anyway sudden events will occur: accidents, explosions, natural disasters, revolution, riots, and high scale scandals and restless on financial markets. You will see a lot of sudden events that will involve a lot of people and everything will be very hard to control or predict. Do not forget that any situation that looks problematic, actually should become an opportunity, especially for those who are able to work with this kind of environment. PERSONAL PLANETS IN RETROGRADE MOTION during this month: Mercury is in Sagittarius until on 2nd of December, you are searching for knowledge, information, and all kind of news that help you to express your freedom. It is time to say what you think, but in a structured way. Mercury retrograde invites you to communicate clear and simple, no matter you speak, write, negotiate, debate, exchange ideas. If your communication tools (computer, mobile, tablets, cars) are in trouble you should fix them in a serious manner and it is better to avoid in these periods to buy new ones. Important negotiations and transactions it is better to postpone for direct periods of Mercury. If you have no choice and you must sign an important contract you should read very carefully all documents. Mercury is in Capricorn during retrograde motion: Pay more attention in your communication, think twice before open your mouth. Now, for you it is the most important your credibility and authority in professional activity. Check, calculate, search and build your destiny. On 21st December, the SUN ingress in CAPRICORN: Happy Birthday for all natives! FULL MOON in GEMINI on 14th of December at 00:05: You will get a lot of mental stimulation in your social and professional environments. You are curious and seek answers to many questions. You are a real chatterbox. Popularity and success are coming on your way this time and you have the ability to recognize opportunities and make the most of them. NEW MOON IN CAPRICORN on 29th of December at 06:53: News and communication about your financial income, new collaborations. Try to not become obsessed by money and power, transformation in your financial strategy and personal values is necessarily. Until the afternoon of 7th of December VENUS is in CAPRICORN: Do not rush to have a new love relationship, if you are single, pay attention to your new potential partner. If you are already in a relationship then it is time to consolidate it, by doing money and bring material results in your relationship. Love doesn’t mean only romantic mood and declarations; it means most of the time day by day life, reality. Between 7th of December and the morning of 3rd January 2017 VENUS is in AQUARIUS: You enjoy unconventional or odd relationships, which give you the freedom to express your individuality. You enjoy talking more and being with your friends. 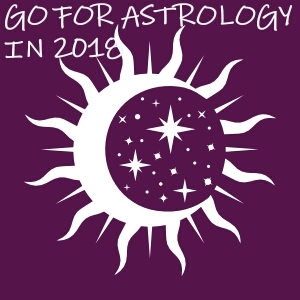 Until 19th of December MARS is in AQUARIUS: You may have a lot of energy to do things, you have ideas, motivation and with a good plan you should achieve success. If you are in a rebel mood, at least use Mars’ energy in an organize manner. I know you can do it! Between 19th of December and the morning of 28rd January 2017 MARS is in PISCES: You are in a spiritual mood and you feel too much and too intense. The square between Mars in Pisces and Saturn in Sagittarius makes you to learn how to control your energy level and how you can achieve great success. Negative outcome: Stress and any kind of excess may bring older health issues. Maybe it is time to go for a general check-up and treat your body, mind and spirit with more attention. The main advice: Teamwork will help you to achieve all your goals, personal or professional. Positive outcome: You have a big chance to get promoted or to have a big success due to your professional skills and efficient work. Money are coming from your partner or from family and business partners. Negative outcome: Abroad relationships, during a travel abroad may bring some sudden unpleasant events, due to Mercury retrograde moving period. Avoid food and alcohol excesses this month, I know it is hard but it is not impossible. The main advice: Postpone big financial decisions after 12th of January! Positive outcome: You may have a special event or a significant experience with your personal relationship. The effect of this is on long term and it may help you to become more balanced in your life. It is also a good time for analysis and researches. Look around and you may find a very important collaboration for your future. Negative outcome: Your health should be your main attention. Do everything for your health, do not postpone any investigation or treatment. The main advice: Pay attention in your financial decision, do not rush and be correct with your businesses partners. Positive outcome: You are very good in what you ae doing in your social and professional environment. Money are coming from many sources. Any initiative of changing your lifestyle in a better one is pretty well favored by the planets. Negative outcome: Communication in your personal relationship seems complicated lately, maybe you should take some unpleasant but necessary decisions. You become too worry then is the reality. Do not be afraid and do not panic that you will lose something important. Be calm and try to be rational. Be aware of collaborations and contracts, especially when is about signing the contracts. The main advice: Be clear and keep it simple when is about communication! Positive outcome: Love, passion, you have a lot to offer to your partner and if you are single you will search like crazy to find one, but be aware to not suffocate your partner. In your professional environment you are very talented to make people to do what you want, you are a perfect leader. Negative outcome: Be aware that people are envy your talents and abilities, some rivals have all eyes on what are you doing and what are your hidden plans. Avoid any confrontation, be polite and diplomatic because you are the best! Try to relax and do not become nervous due to any stupid word or action of others. Your respiratory system is sensitive so please take care of it! The main advice: Do not spend your money like crazy, be wise! Avoid sharp objects and look around while traveling! Positive outcome: You are motivated by money and duty, because of this you may fall in love by somebody with money and good social position. Negative outcome: If you have delays in your activities you should remain motivated and keep working on them because the result will come next year, no late than 7th of February. You may do everything to look and feel better: go to the gym, change old habits, and eat healthier. The main advice: Take care more to your children, if it the case. If you are pregnant pay more attention to your situation! Positive outcome: You are very adventurous, but this is not something new for you. Anyway it is a very good month to rediscover happiness being in love and making love. If you want children now is the best moment for on conception, if you do not want a child, then use some preservatives. Professional opportunities are coming for you and the idea is to use your skills, talents and creativity and promote yourself to others. Do not be shy! Negative outcome: After 19th of December be aware of infections, accidents, headaches, and bleedings. Do not rush, watch your steps, look around, be focused in what you are doing with your body! Take care of your home, family and parents! The main advice: Write a book, launch a blog/vlog, make presentations, negotiate, start an education program. Do something useful! Positive outcome: It is time for a vacation, somewhere where is far from town, to the mountain. If it is not possible, then your home will become your vacation favored place. Negative outcome: Try to not spend money on not useful objects only because is Christmas time or other kind of celebration. If you want to buy something expensive it is better to postpone after 12th of January. Take care of accidents during transportation or traveling, while using sharp objects, electric devises. Avoid any conflict and be careful while driving! The main advice: Make more time for rest and relaxing moments. Positive outcome: No matter what you want and what you do, in a way or another, money is your motivation this month. Now you are able to solve all old issues in your professional area: projects, debts, all kind of obligations and so on. Negative outcome: Train your patience and do not rush, otherwise you enter in risky situations: conflicts and accidents. The main advice: Count your money, put them in order, pay your debts and try to not borrow money, do not spend all your money too easy! If you want to change your job try to do it after 12th of January! Communicate more and you will get more information and good people around you! Positive outcome: Love and pleasure make you very attractive but you are a realistic person so you turn to your practical issues, even in personal life. For you is more important if you have money, food, a functional home, together with your love partner. You communicate, travel, negotiate, talk and exchange a lot of information. Negative outcome: Go and make medical investigations and try to change old bad habits with new and good ones. It is not easy but at least you should try. Be aware of accidents and injuries! Rest and relax more! The main advice: Be clear, open, flexible and focused in everything you say and do! Positive outcome: You are really charming and in romantic mood and it is possible to take an important decision or to have a significant event connected with love relationship. You have many ideas and you want to put in practice all of them. This is not possible, and because of this you must choose one or two ideas, put them on paper, organize activities, you should be your own project manager: resources – money – time. You are very connected with friends from abroad or even you will start an online education program. Team work is the best for your during this month. Negative outcome: Somebody maybe is envy you because you are happy and everything is going well. Be aware and look carefully around you. Take care of your nervous and respiratory systems! The main advice: Avoid any kind of excesses: too much/less food, too much/less drink, too much/less work. Keep you balanced! Positive outcome: You may meet a lover from the past, it is up to you if you reinvent this relationship for a new beginning or not. Think very deep about this decision! In your career and social environment you have a lot of action, ideas and many opportunities. You may take a decision about your professional future. Form a team with people that have the same goals, ideas and interests and start to do something new for you. Negative outcome: Or you may be involved in a secret love, but take care because this is not for a long time, and then you will become sad and frustrated. Do not have too much expectations from this. The main advice: It is the best moment to go in a vacation, try to rest more, relax in the nature, and think of what is really important for you NOW!